Executive Team | Kennedy Valve Co. Leadership determines the course and path that a business follows. Doing the right thing in all situations is integral to the core philosophy of Kennedy Valve. Whether it involves the environment, safety, community or our team members, Kennedy Valve's management team is committed to keeping these values at the forefront of our business strategy. Arne C. Feyling has served as VP/GM of Kennedy Valve, M&H Valve and ARD Valve since 2010. Mr. Feyling joined the company in 1995 and has served in various positions and locations over the years. 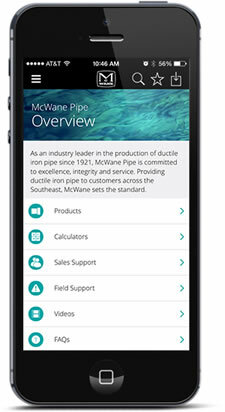 Mike Vore is the Sales & Marketing Manager for the McWane Valve & Hydrant Group. He has been working for Clow Valve for over 30 years. John Chalk is the National Sales Manager for Kennedy Valve. In the 40 years Mr. Chalk has been with Kennedy Valve, he has held numerous positions throughout the company. Barry O’Brien, was previously the Director of Plant and Industrial Valve until accepting the UL FM National Sales Manager position in 2018. Barry was away from the company for an 18 month period, however, he started his career with McWane in Jan of 2010 as a Regional Sales Manager with then American R/D. He ultimately served as the General Manager of American R/D and was instrumental in consolidating American R/D as a stand-alone company into the Kennedy Valve Plant & Industrial Valve Group. Barry also spent 18 years at Victaulic in a variety of assignments in sales and sales management. He is a graduate of Norwich University holding a B.S. degree in Business. He is also veteran of the USAF rising to the rank of Captain. Barry is married and has two children. Matthew Hicks is the Health and Safety Manager at Kennedy Valve. Matthew joined the Kennedy Valve team in 2005. Paul Briggs is the National Sales Manager for Kennedy Valve's Plant & Industrial Group.